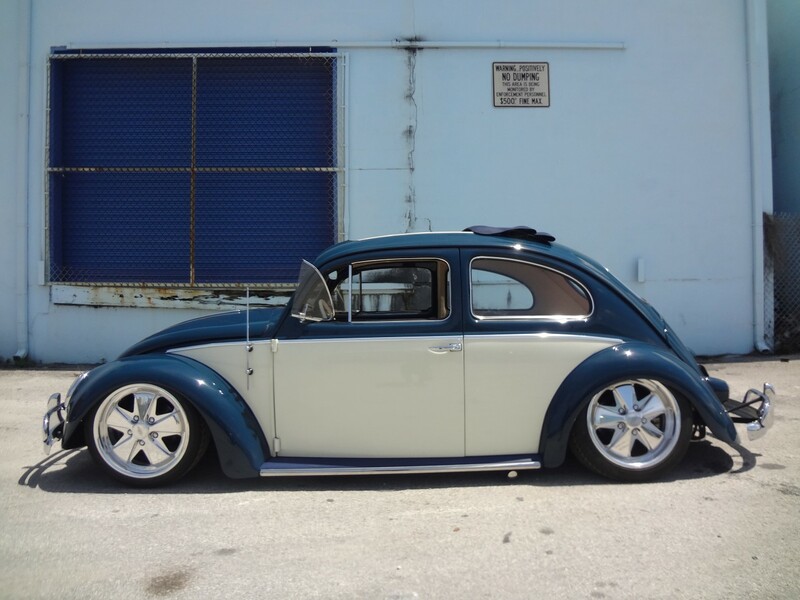 Sometimes its best to start from the ground up. 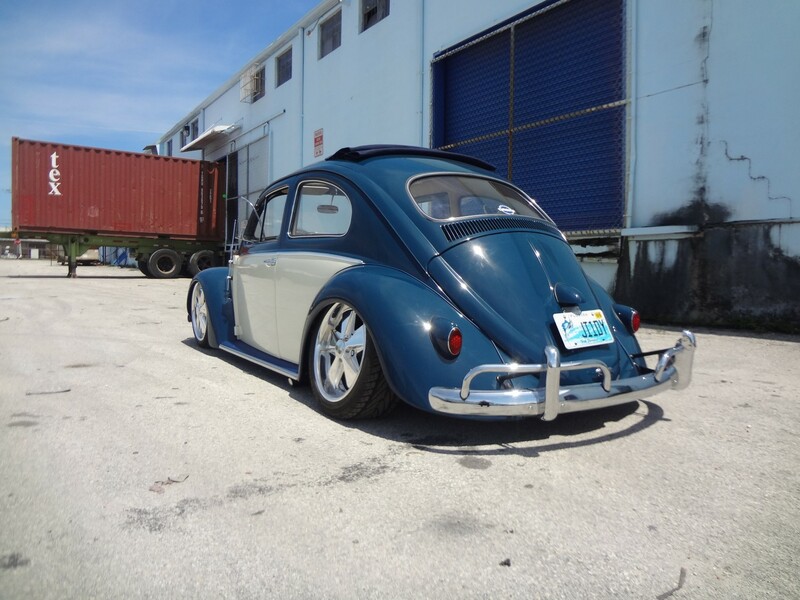 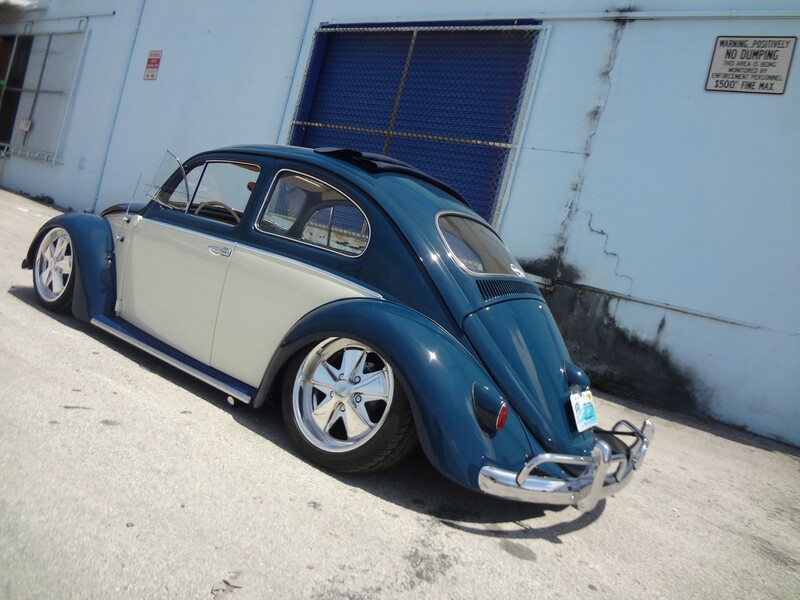 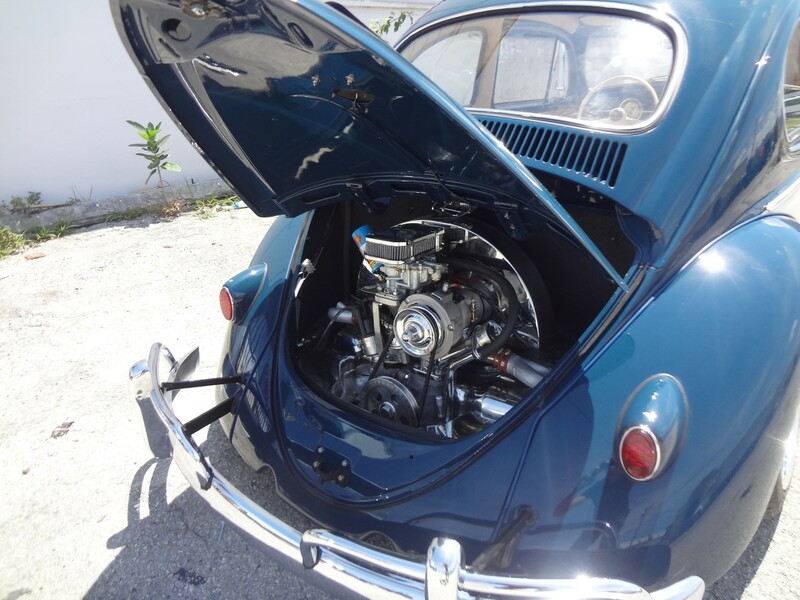 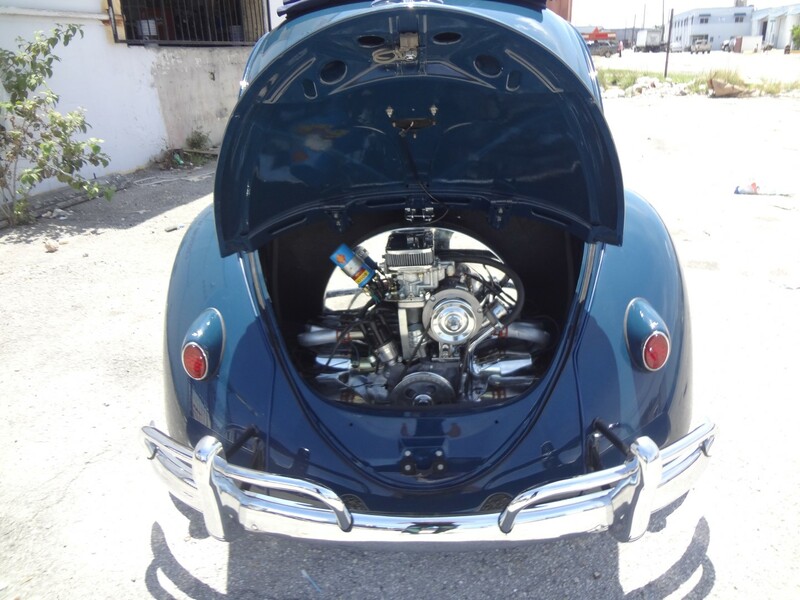 As with this Bug the pan was in need of new floors, new suspension, new brakes, and so much more. 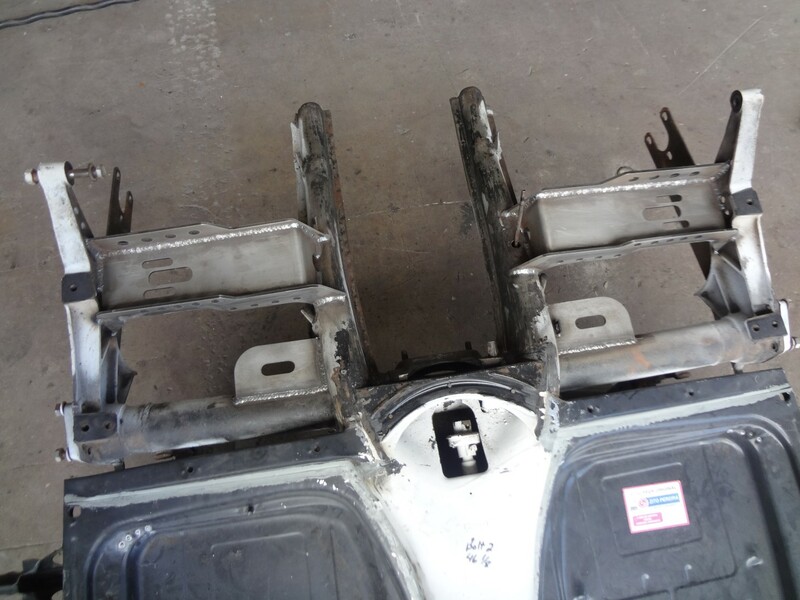 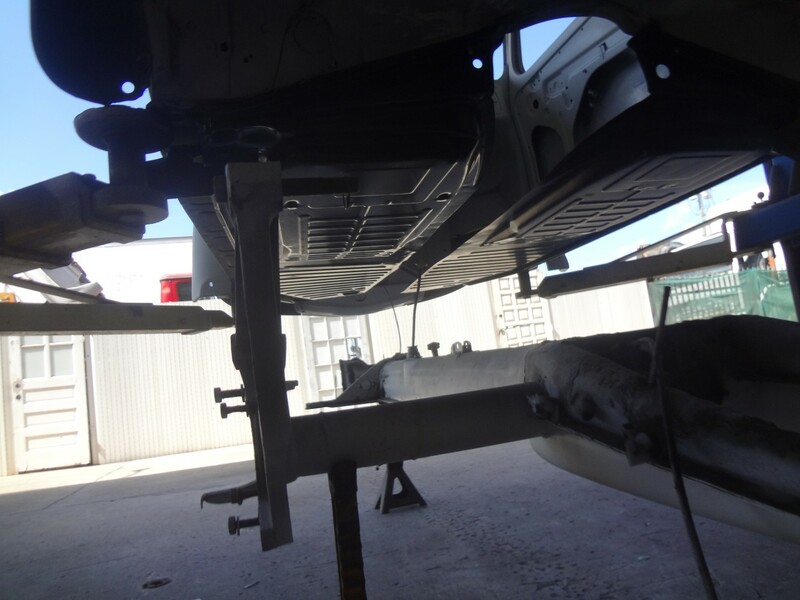 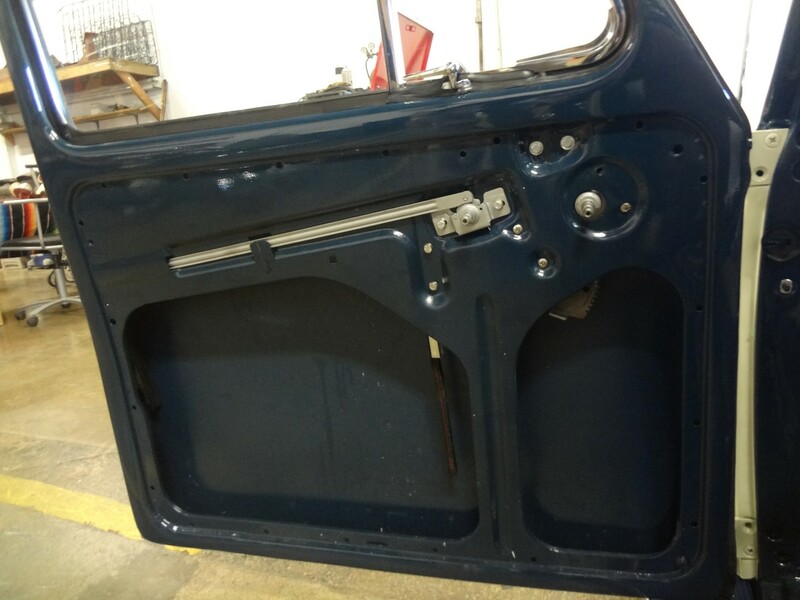 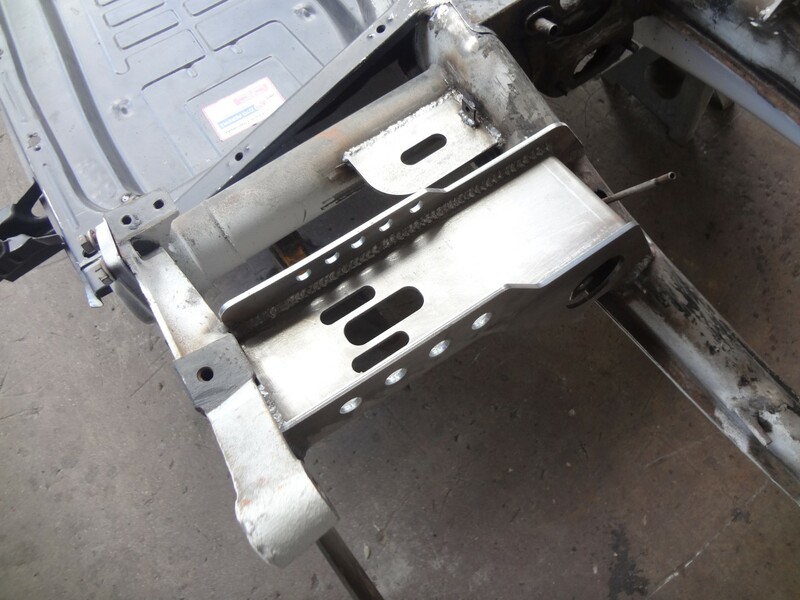 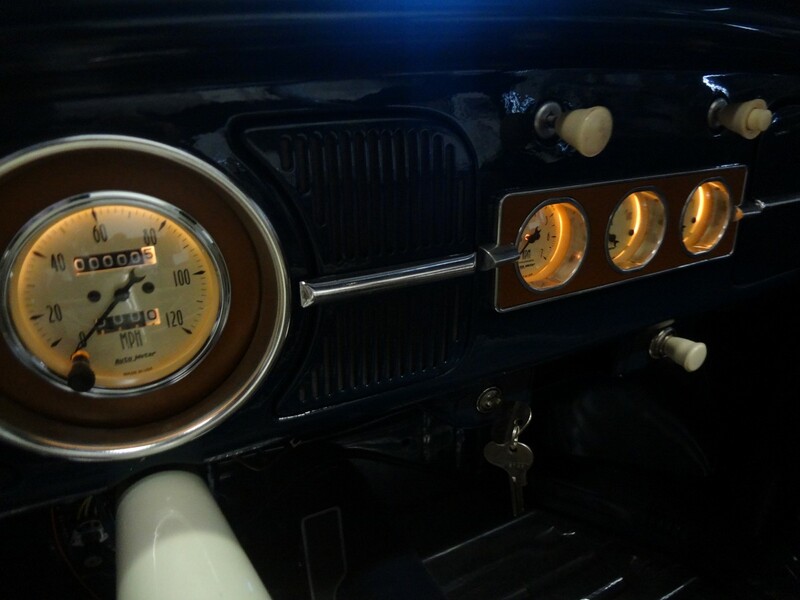 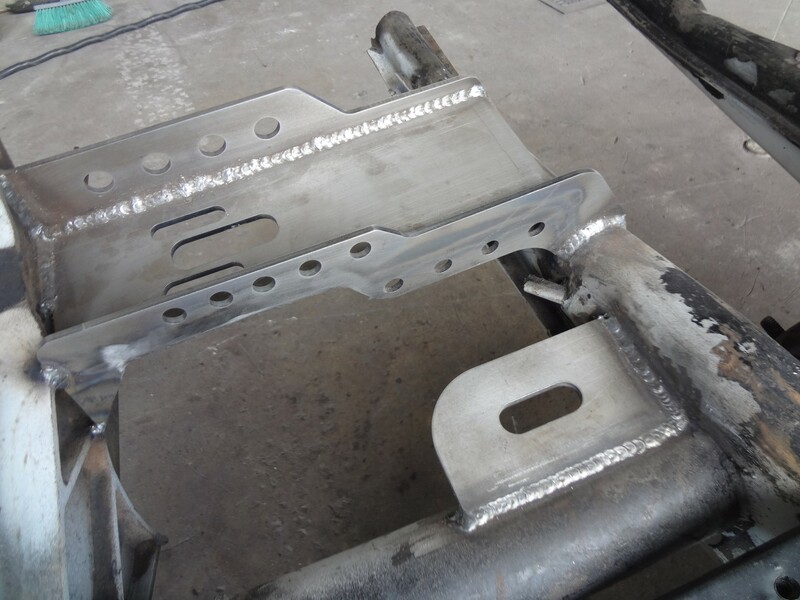 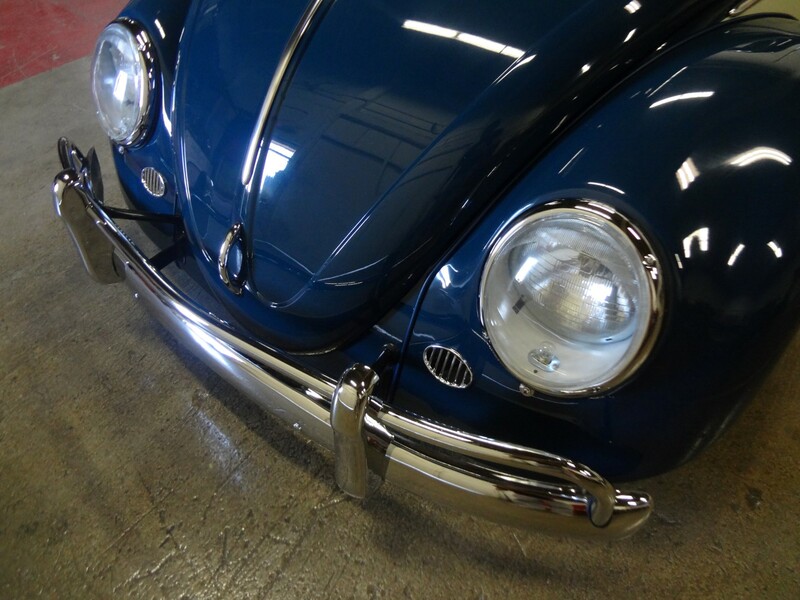 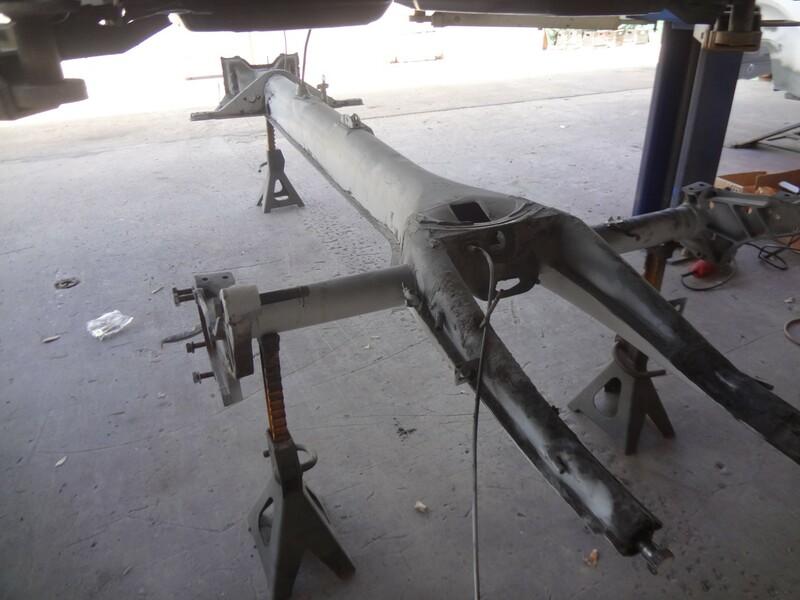 The owner also wanted to install air bags so all the brackets were welded on during the pan restoration. 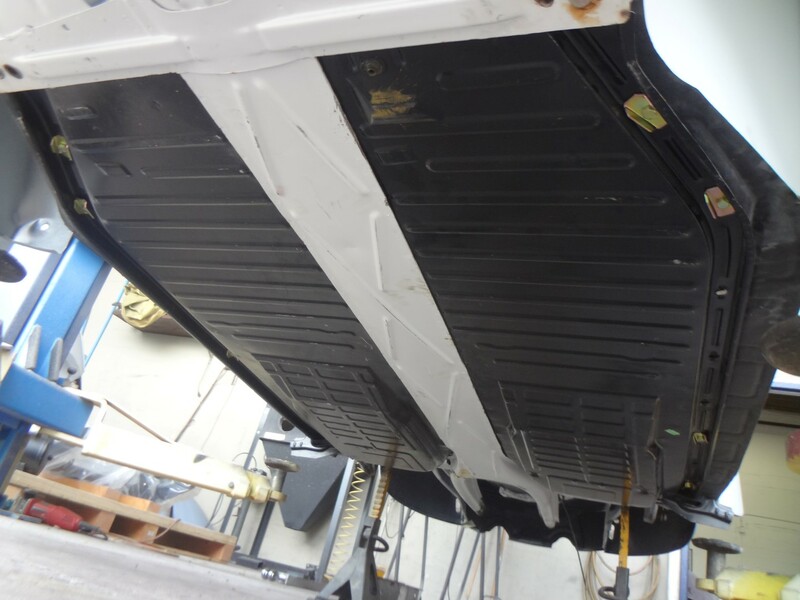 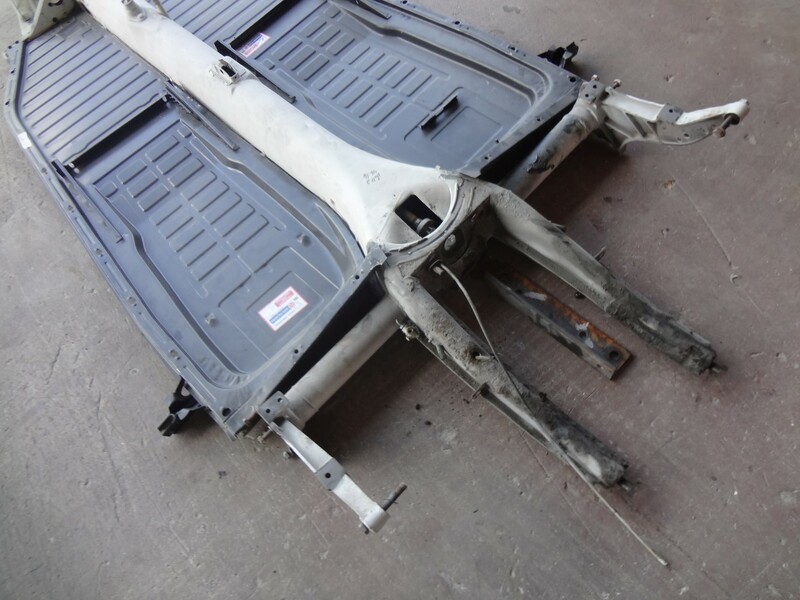 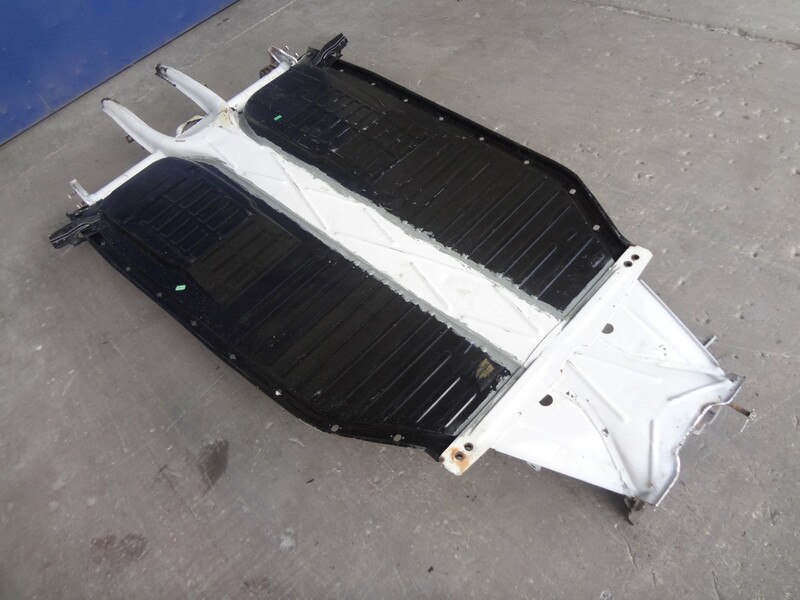 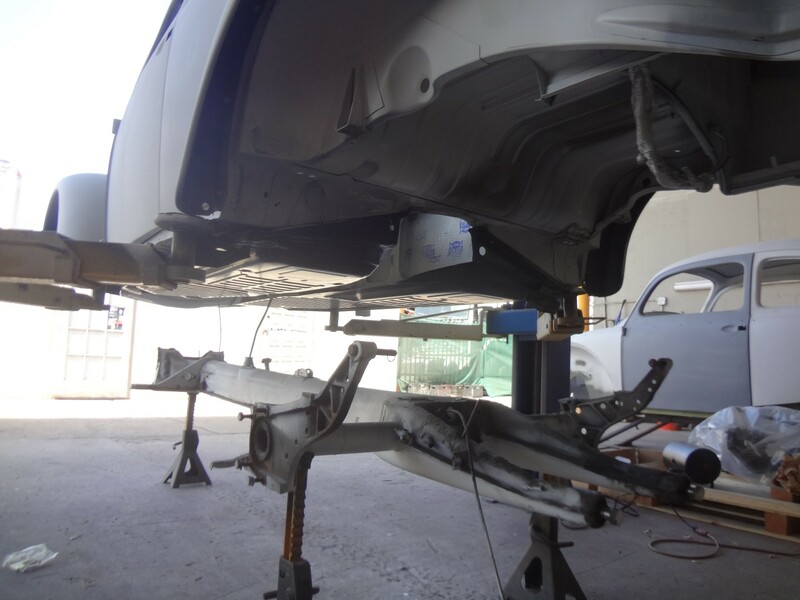 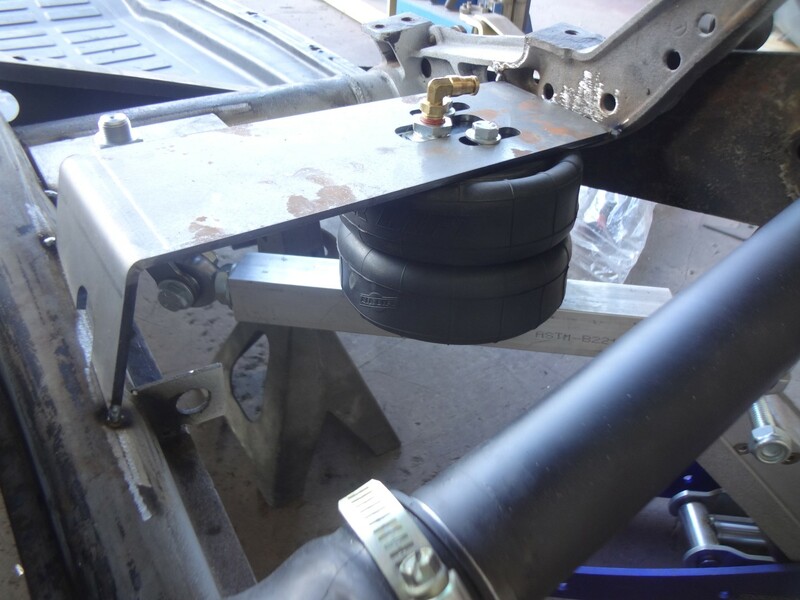 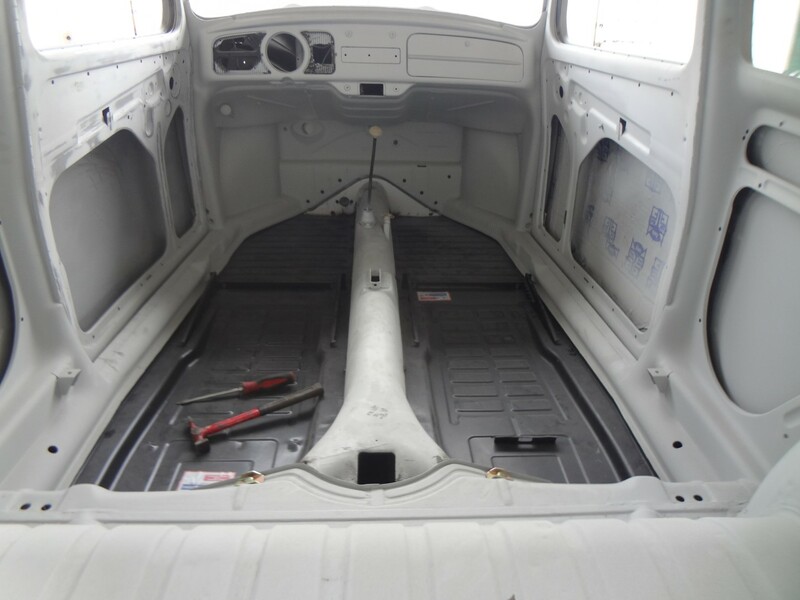 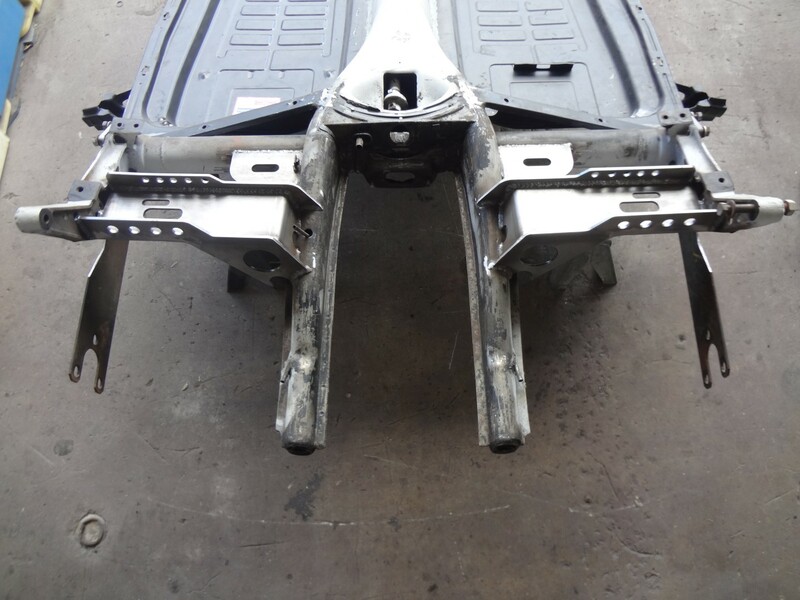 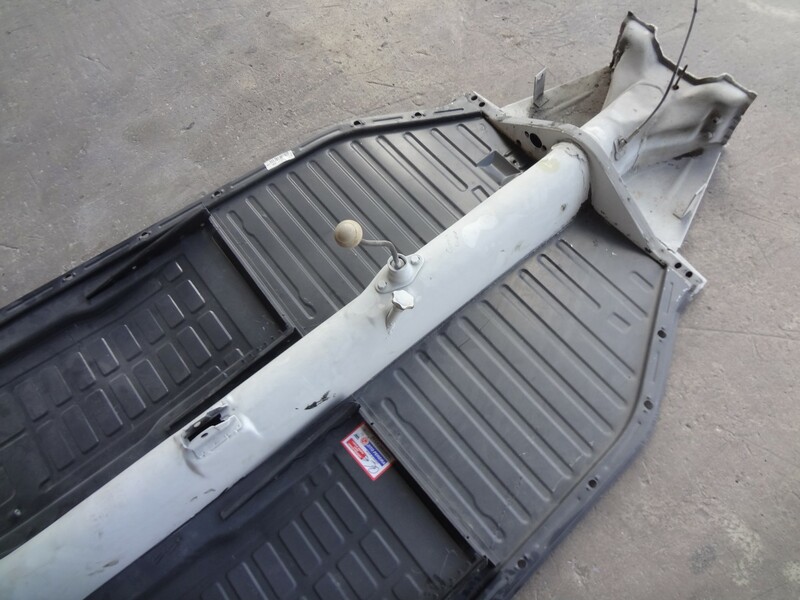 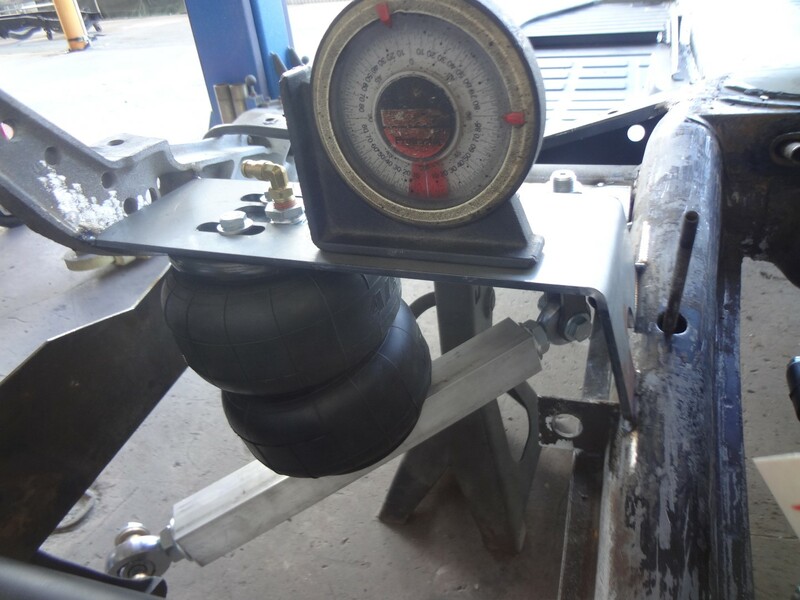 Airkewld provided a new front beam including disc brakes as well as the kit for the rear airbags. 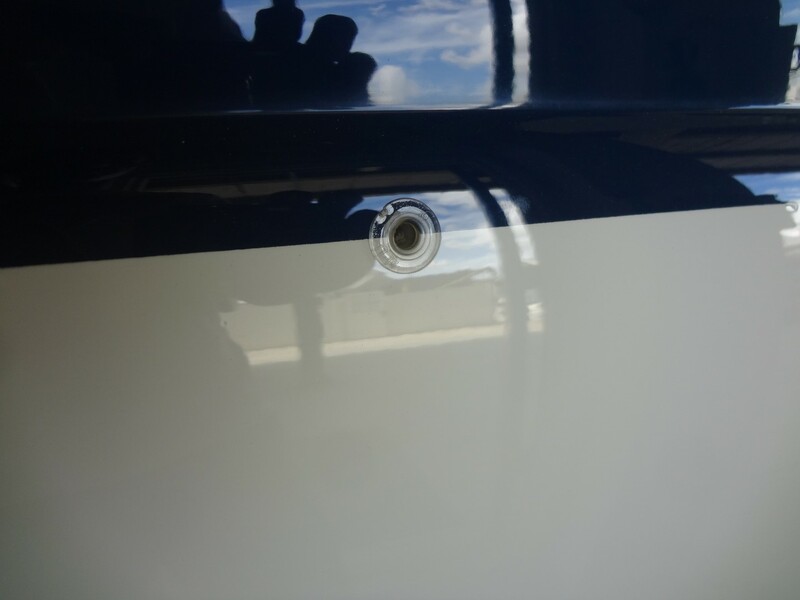 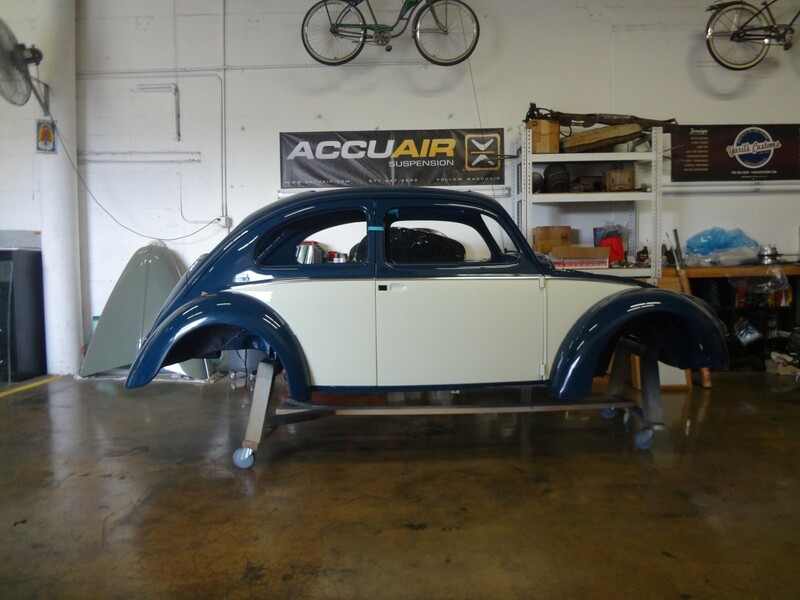 Accuair was chosen to handle the air management. 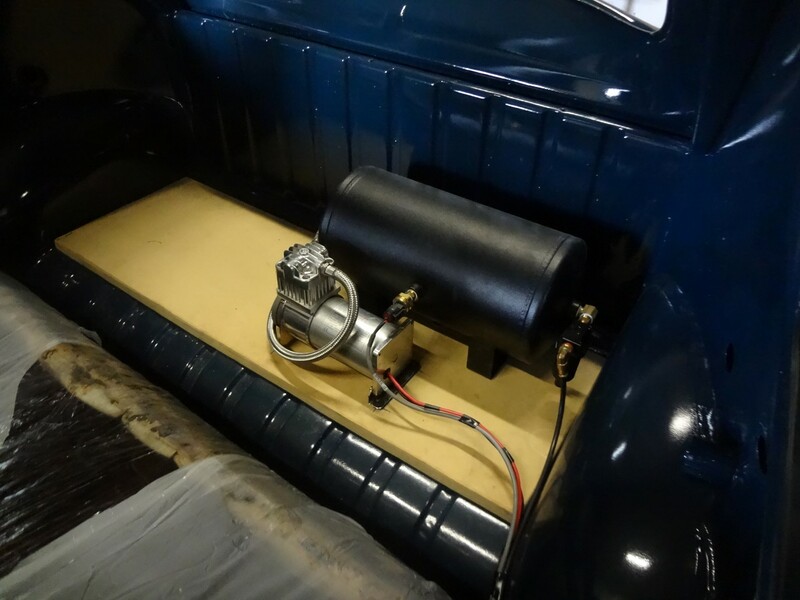 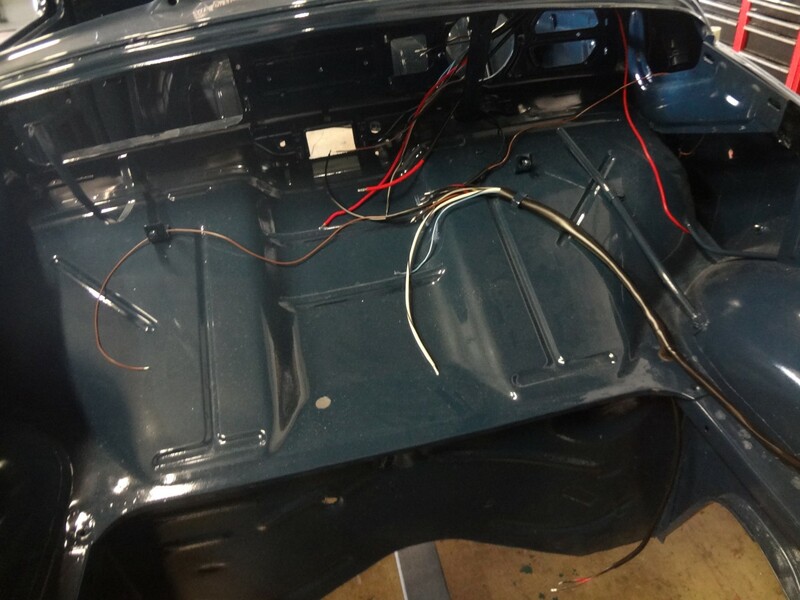 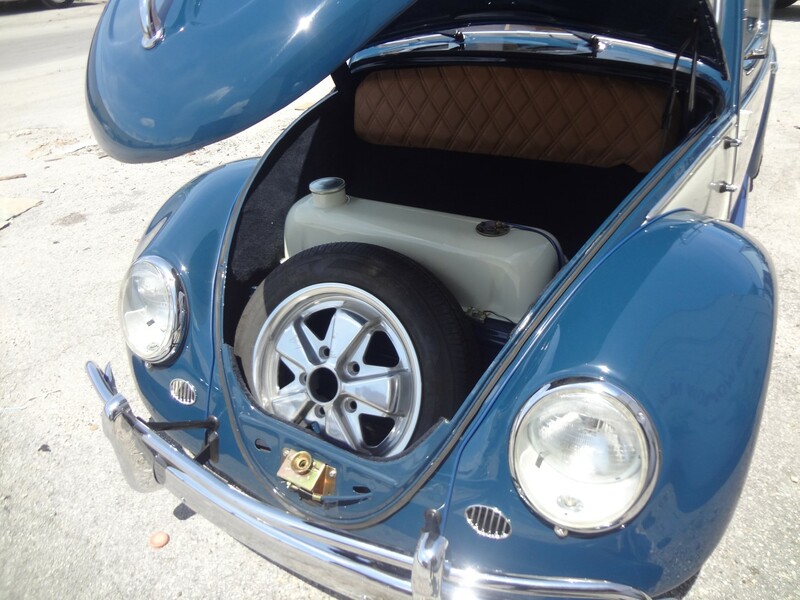 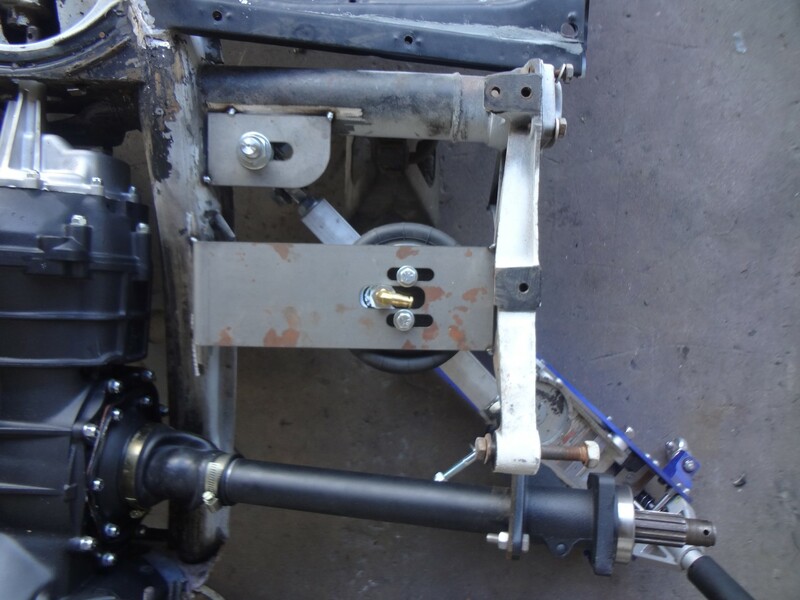 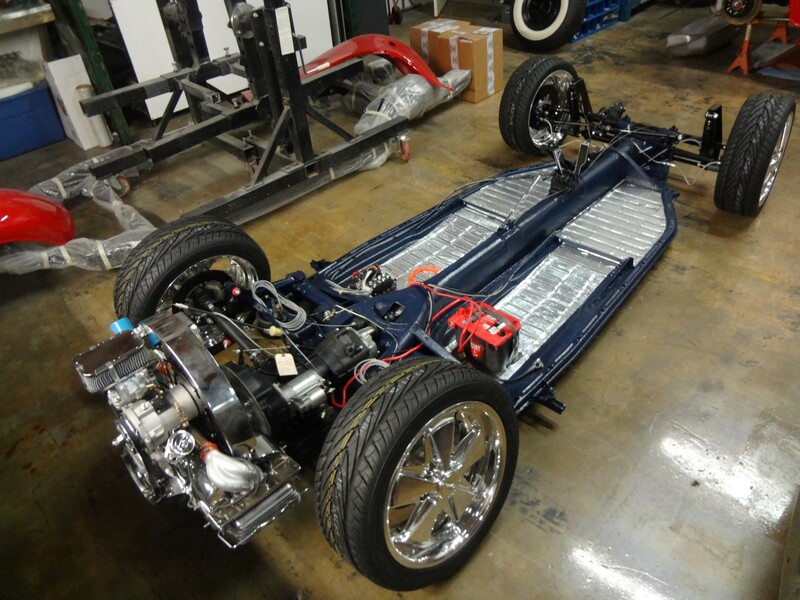 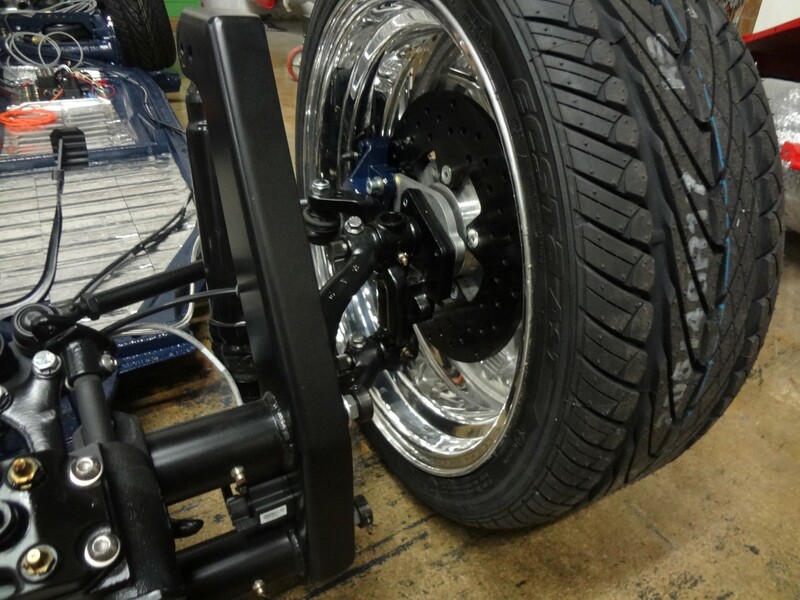 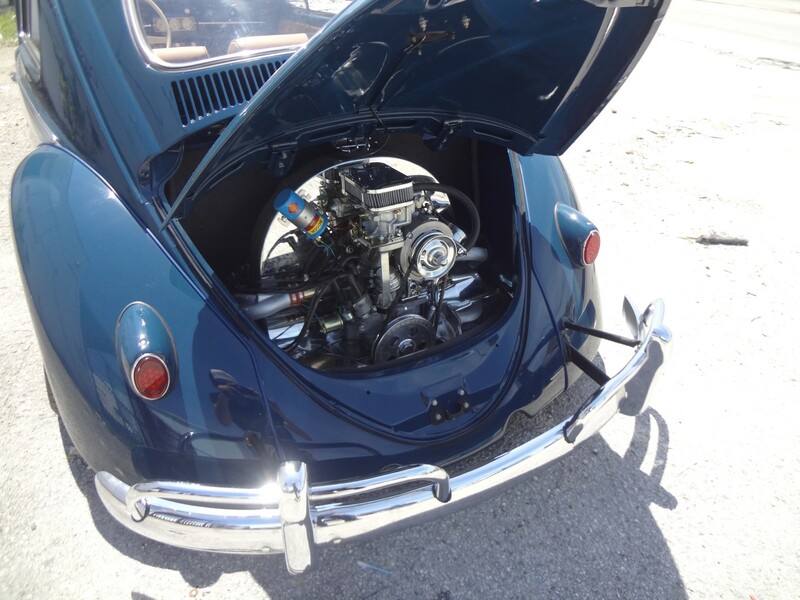 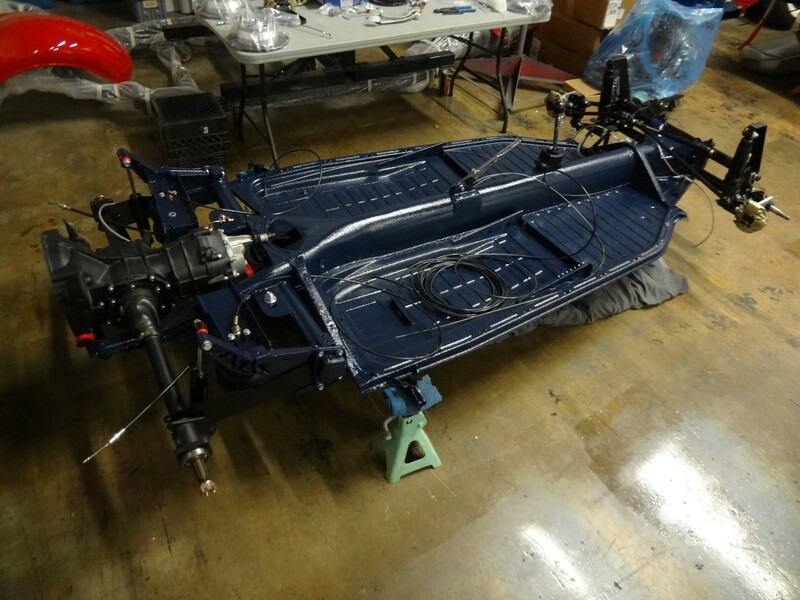 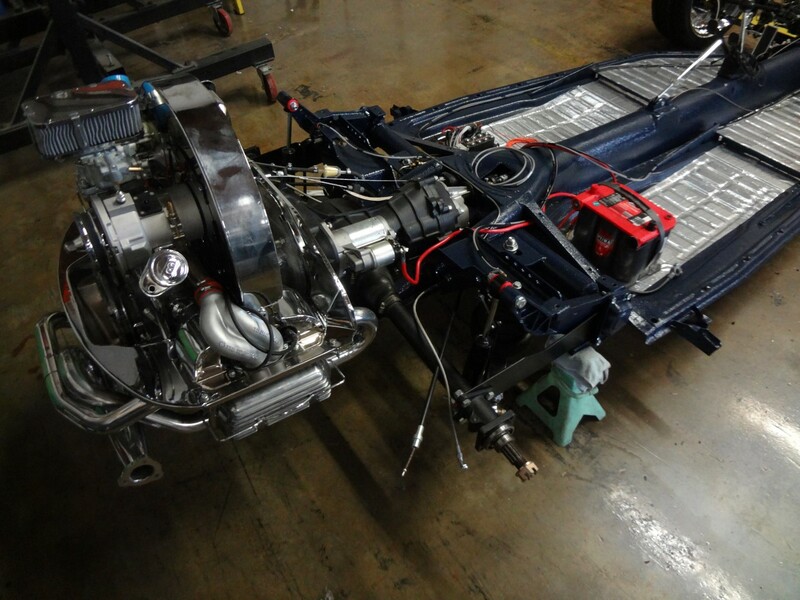 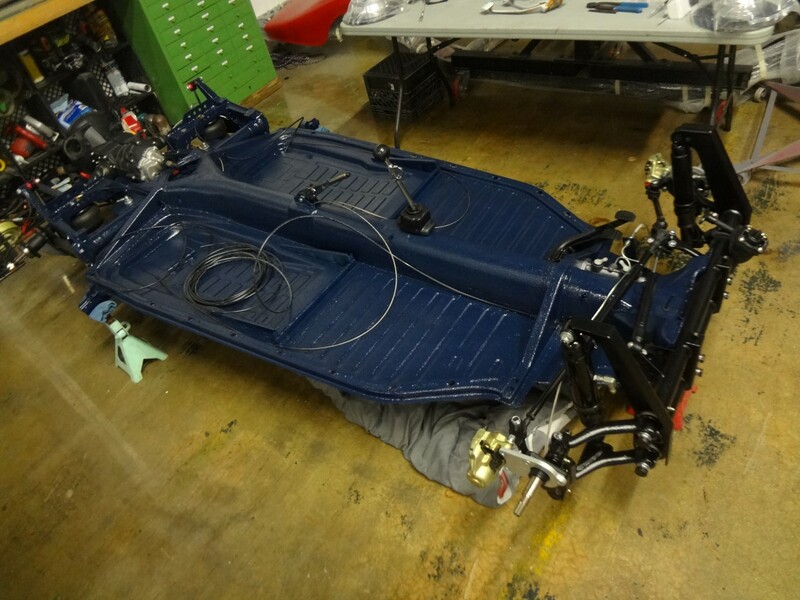 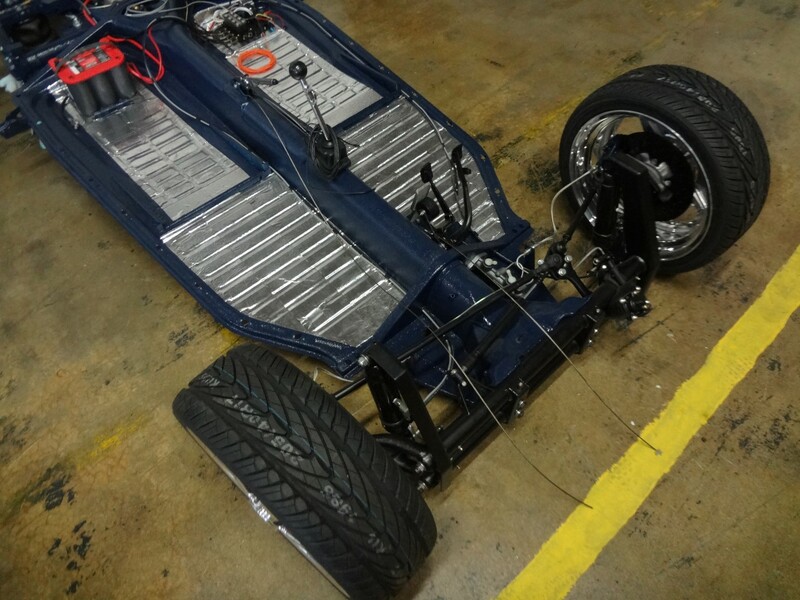 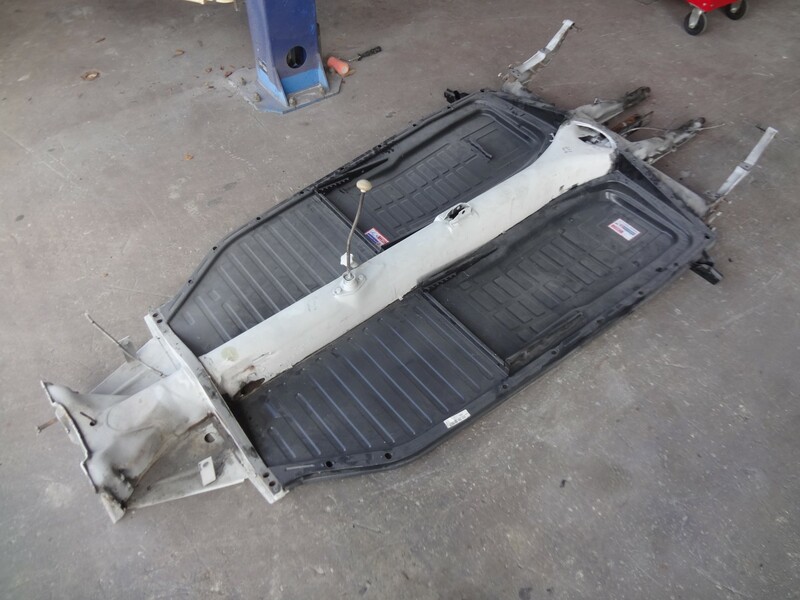 A crate transmission and motor also made their way into the build, along with rear disc brakes and 17″ Fuchs, so a complete rolling chassis can later be put under the body. 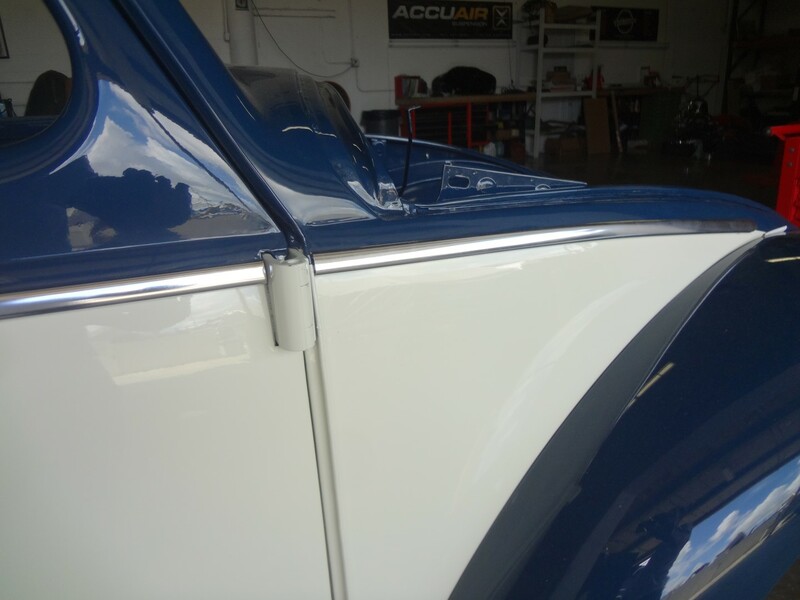 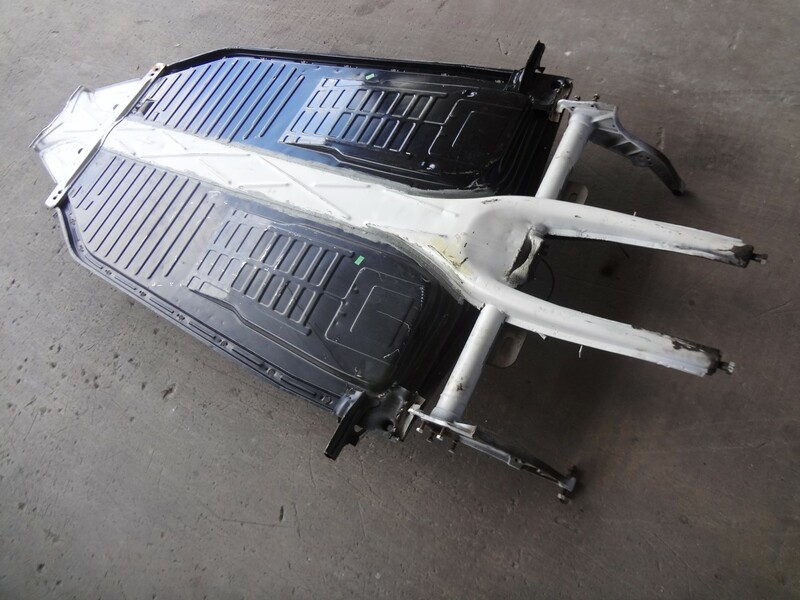 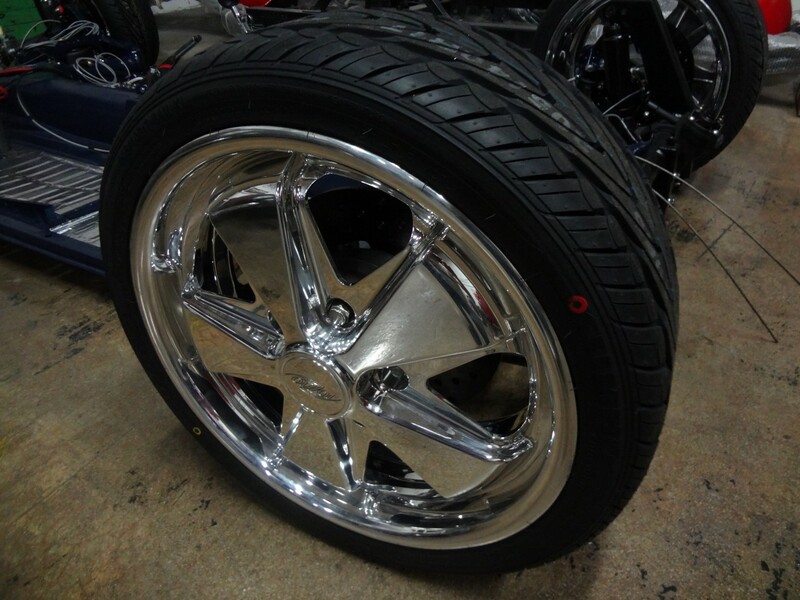 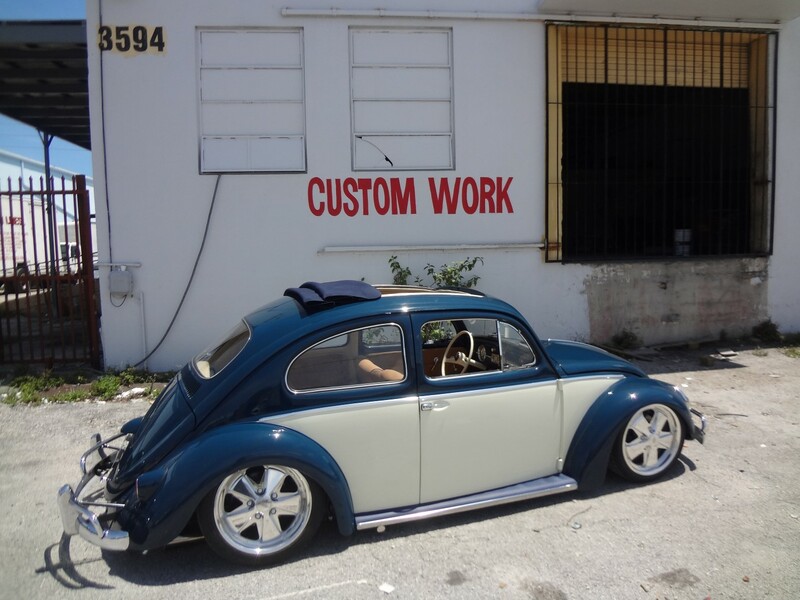 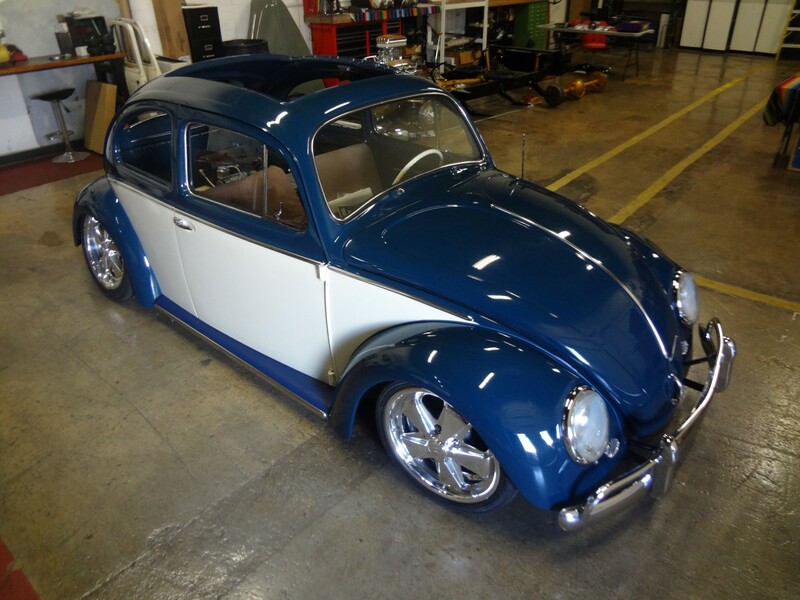 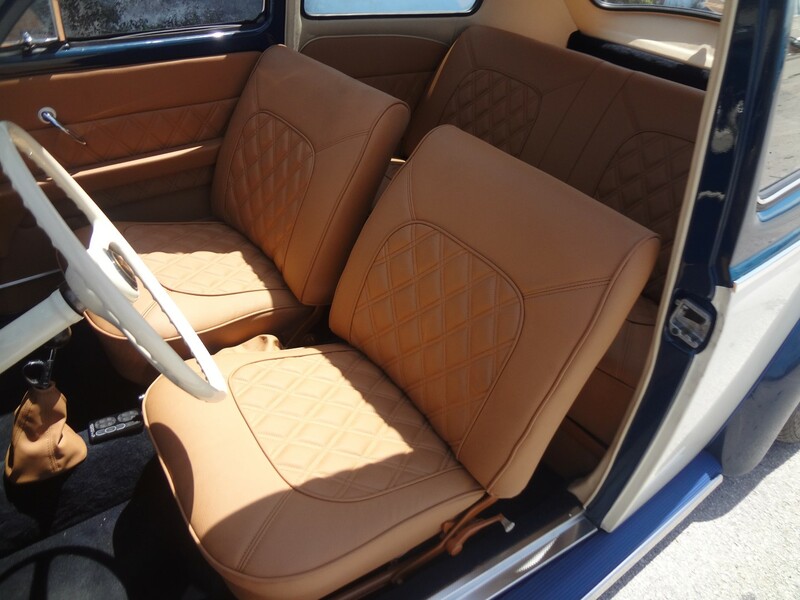 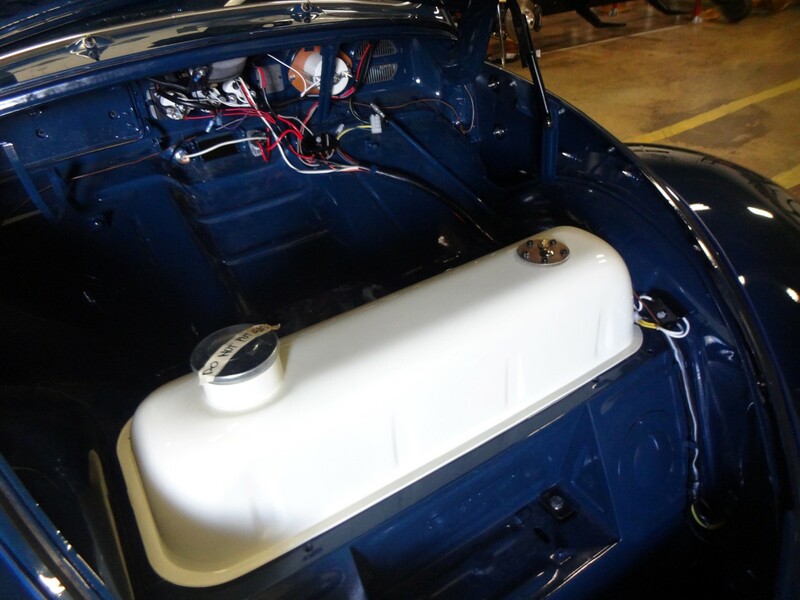 Team-V (Leonardo Vizcaino) handled the finishing for the body in a Navy Blue and Cream White two tone. 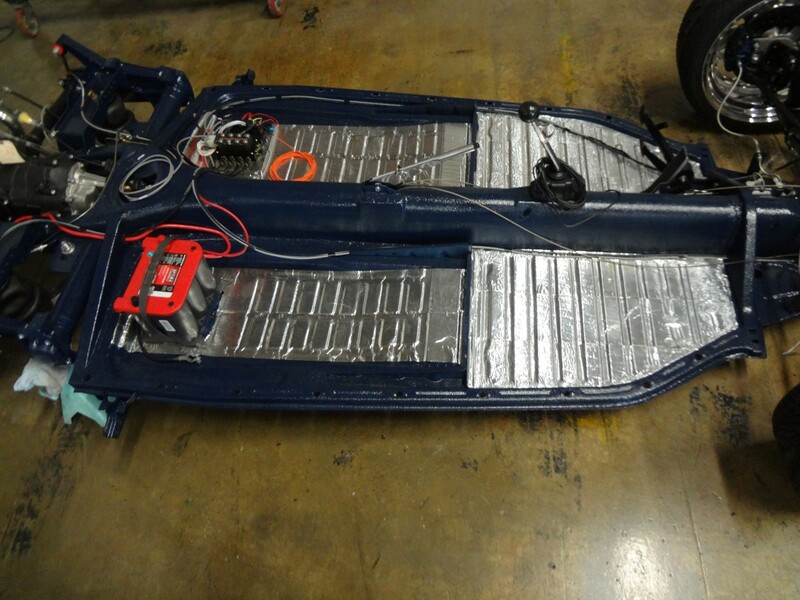 From there we put the body back on the freshly built pan and sent it off to Rivero Upholstery for all the fine trimmings. 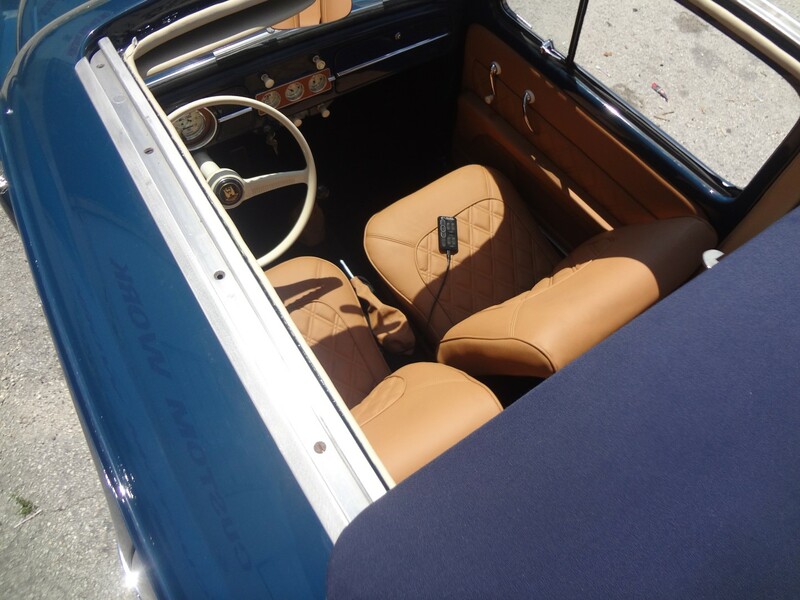 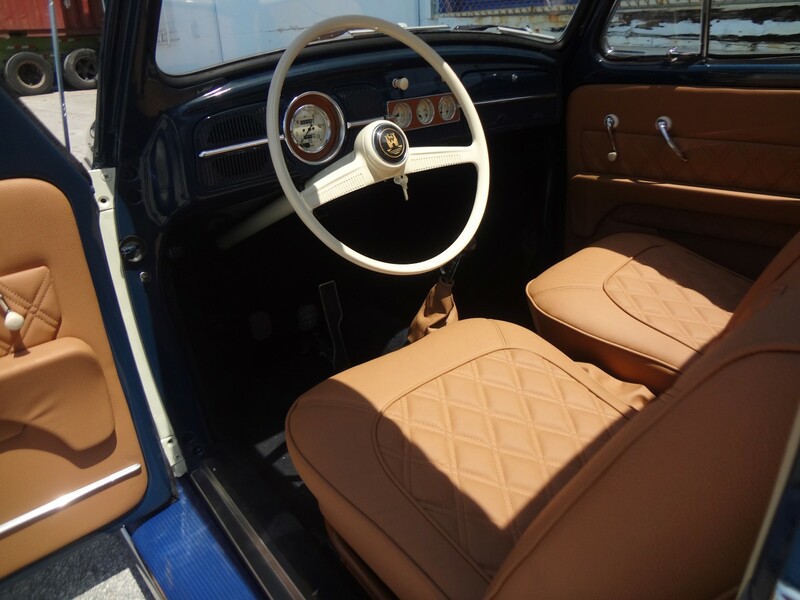 A new canvas rag-top, diamond stitch interior, custom door panels and so much more was done at Rivero’s thanks to Gabie, Sergio and crew. 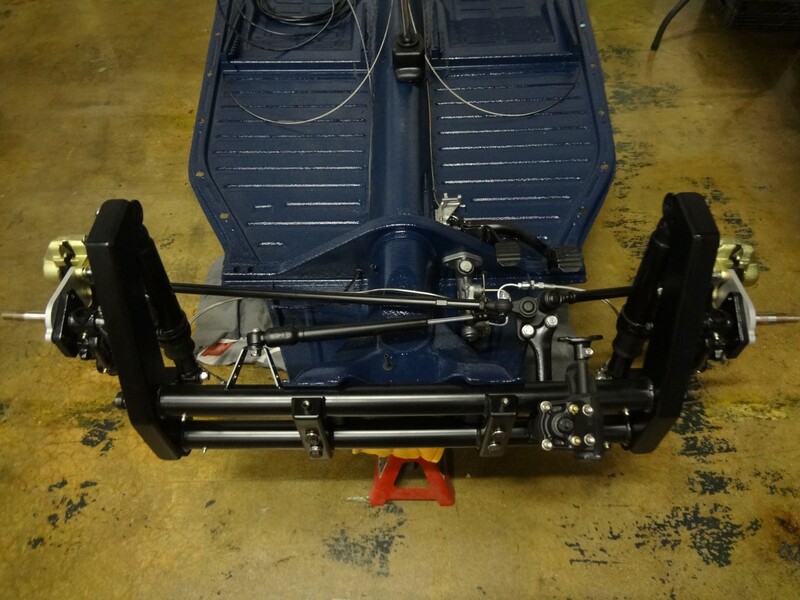 From there it was back to Yaril’s Customs for final assembly of all the new and old parts. 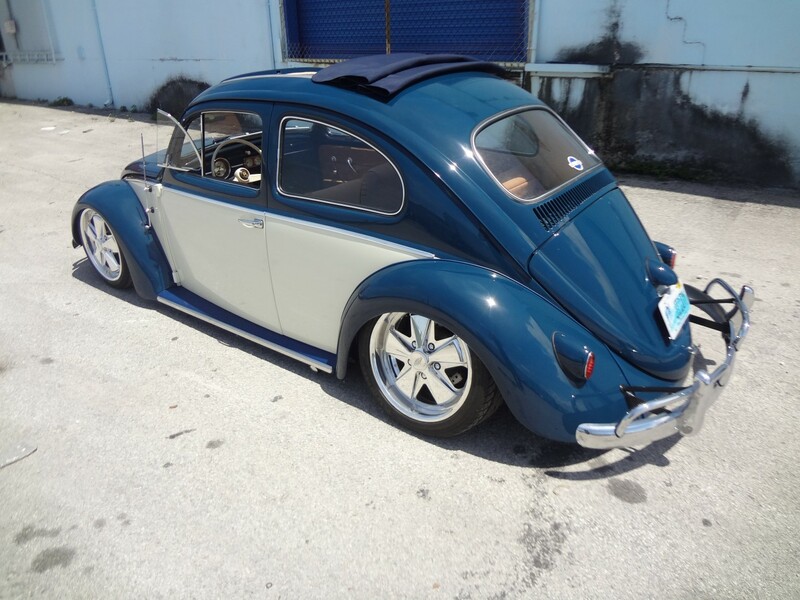 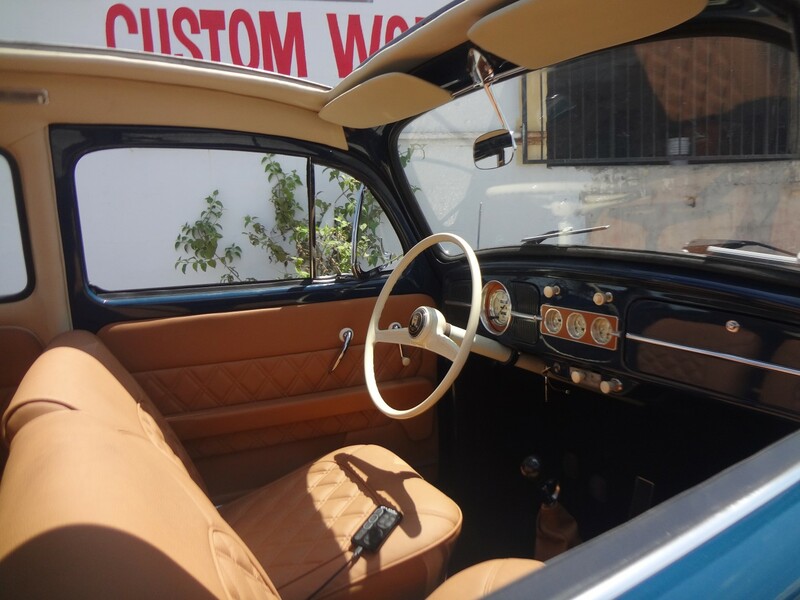 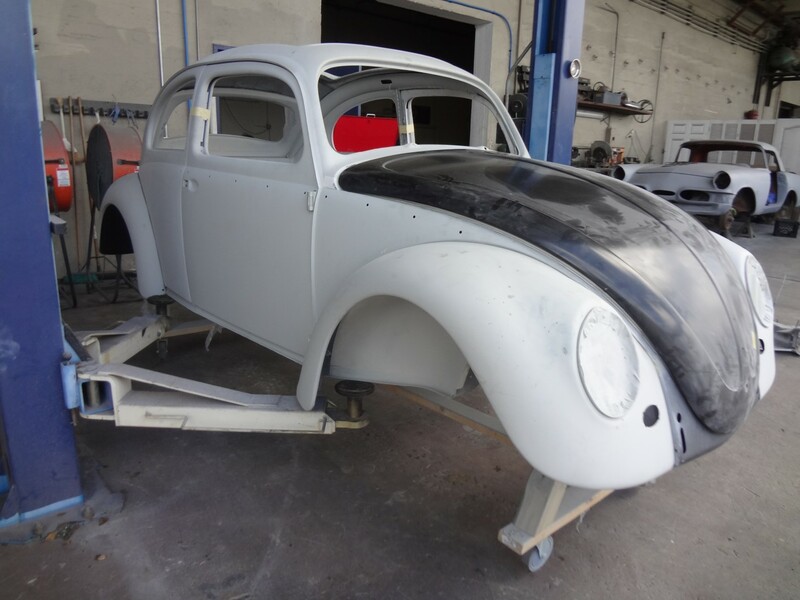 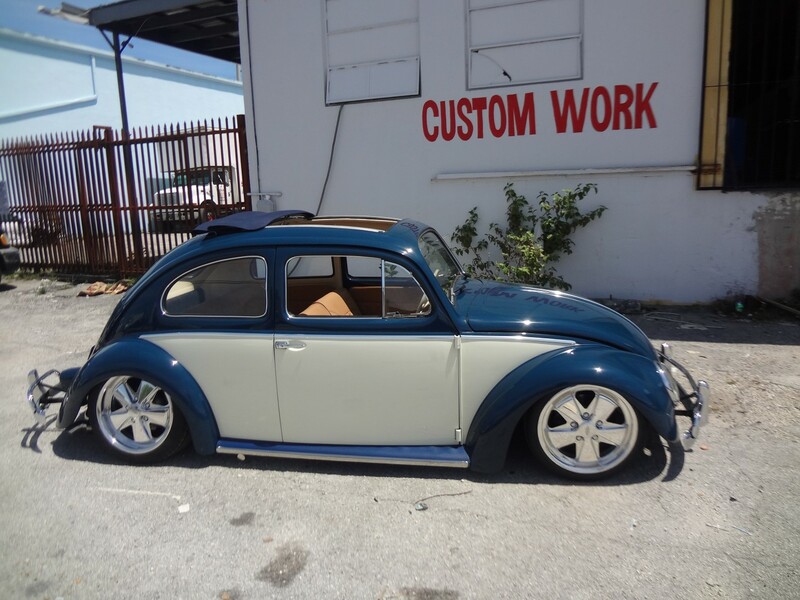 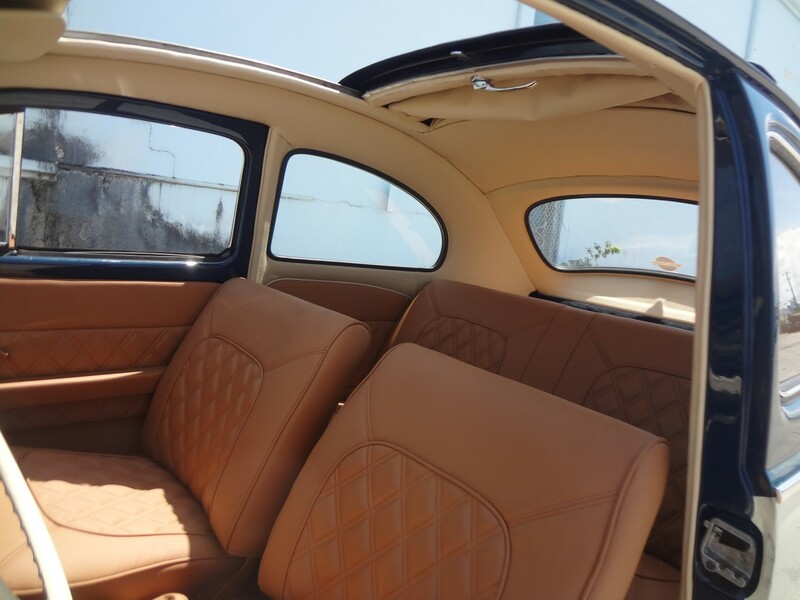 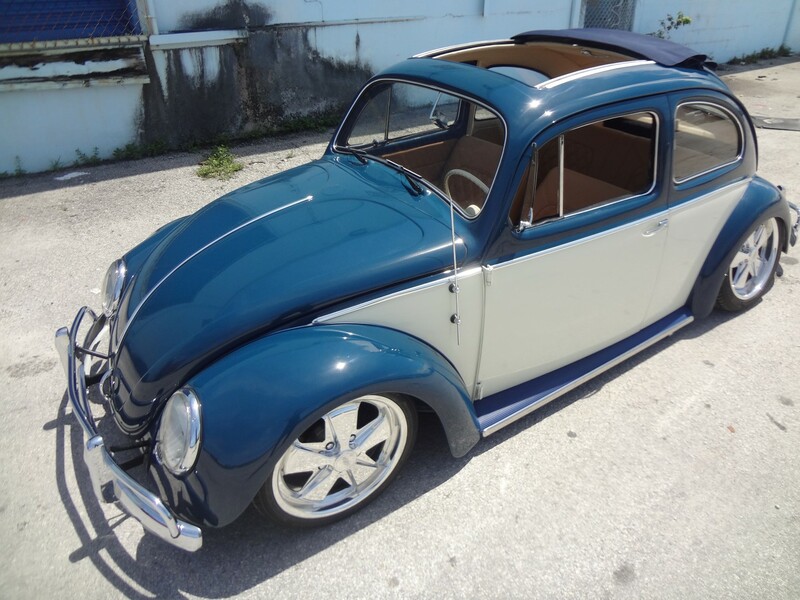 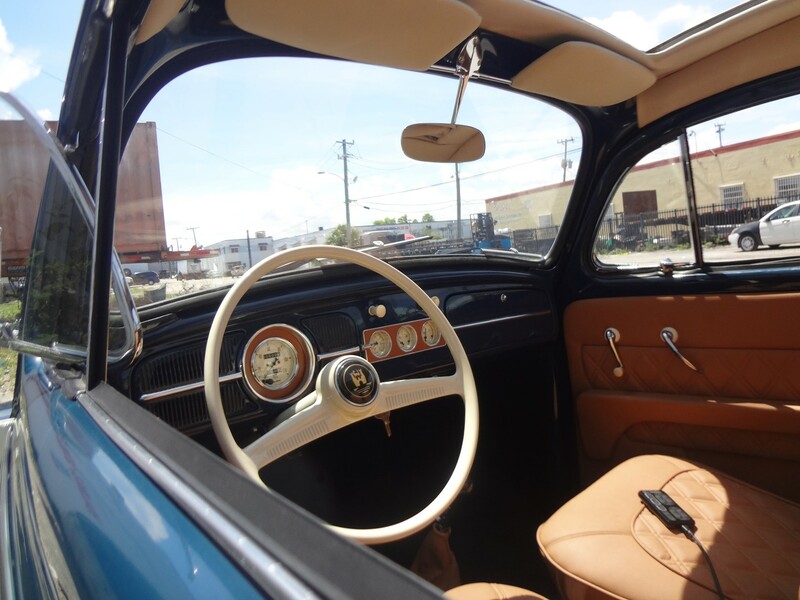 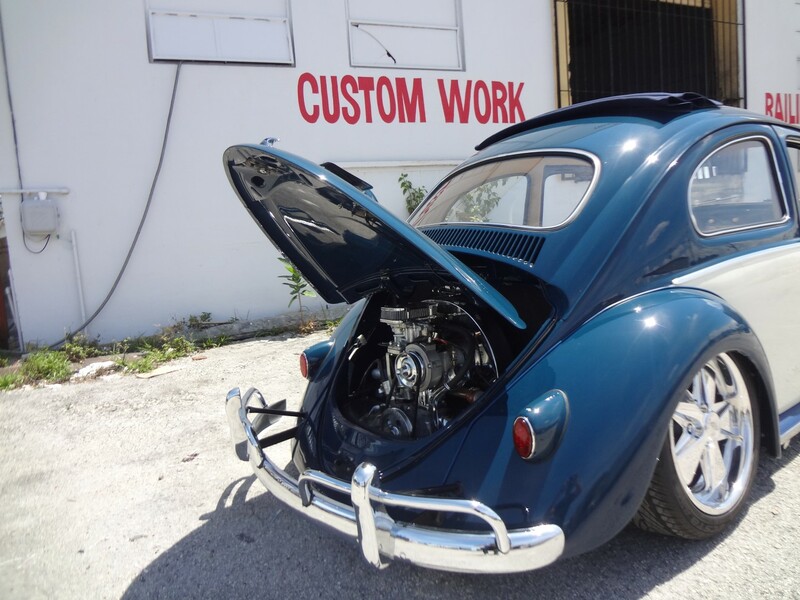 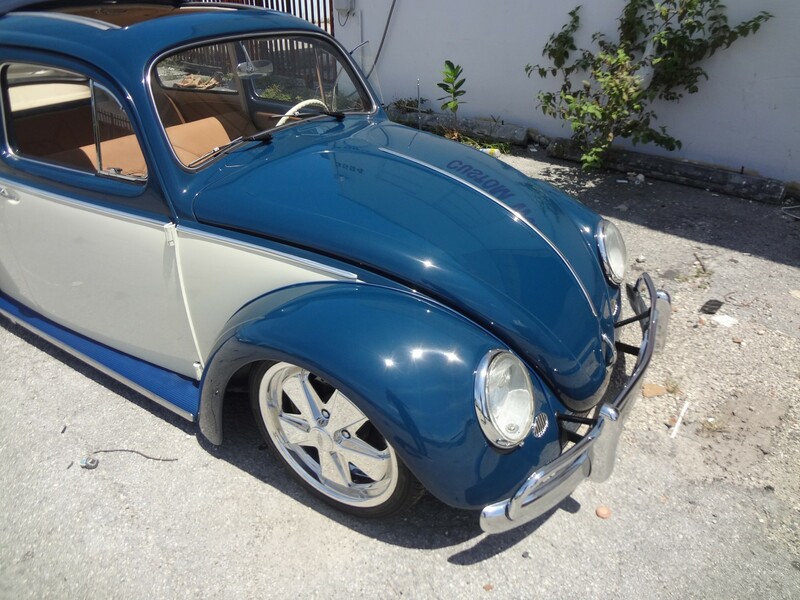 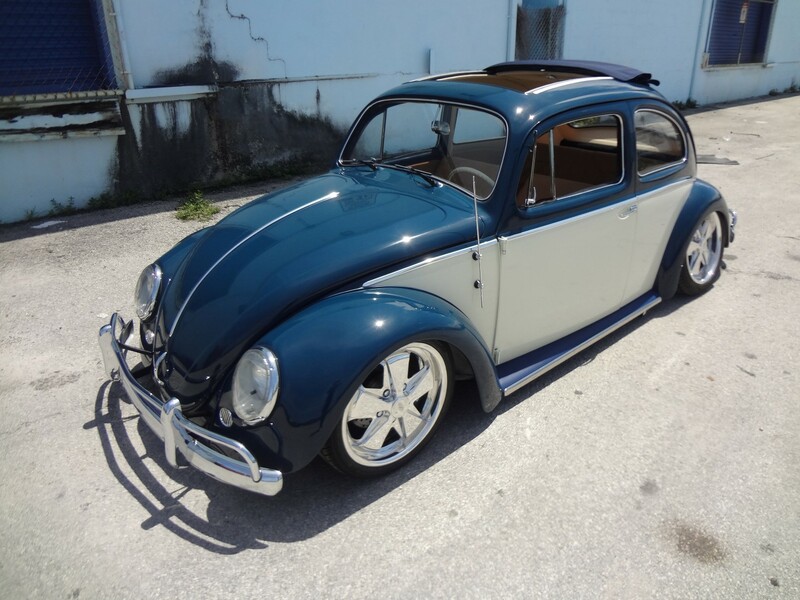 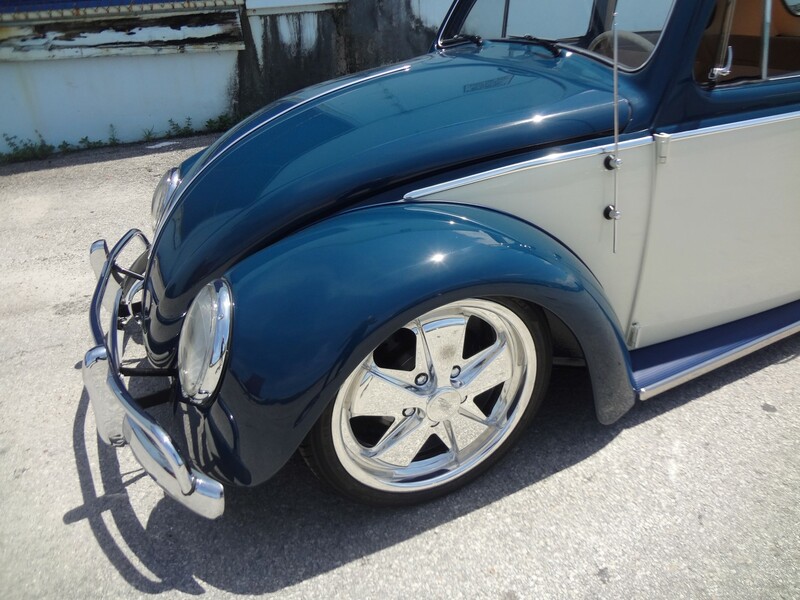 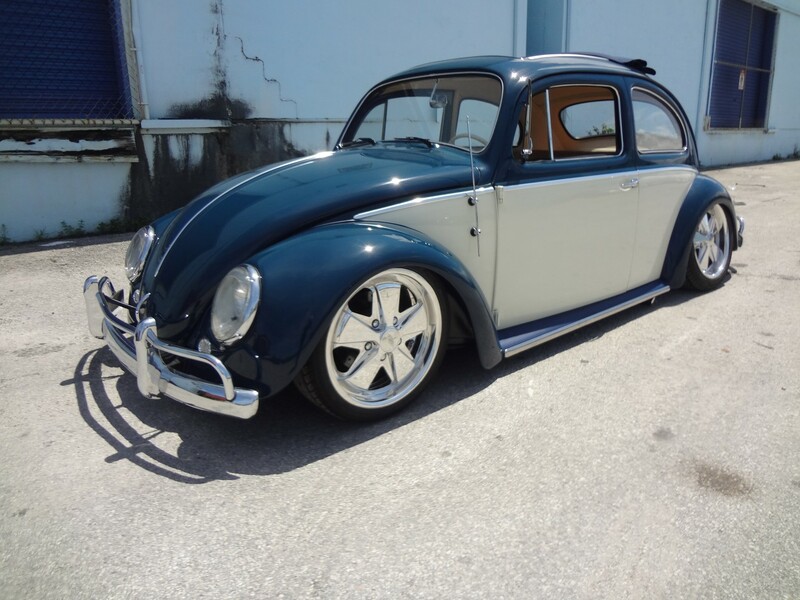 Its been a long journey for this bug from the day it arrived as just the center frame section with no floors to the beautiful completed car it is now. 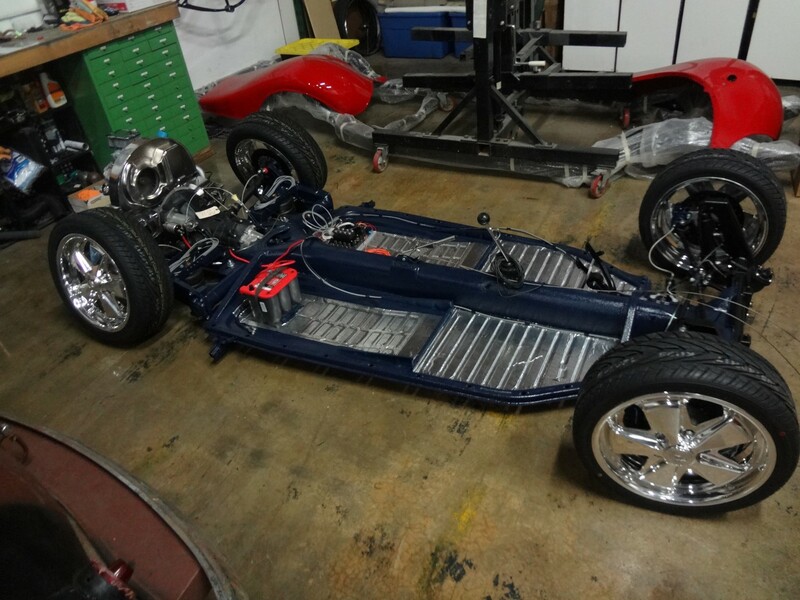 Definitely a well worth effort on all parts.